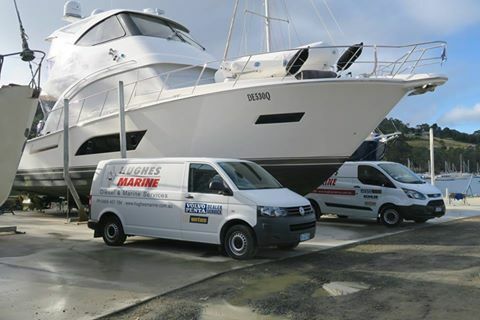 Hughes Marine specialise in the service and repair of all brands of marine and Industrial diesel engines, gearboxes and ancillary components. We are authorised dealers for the Volvo Penta, Kohler and Vetus brands. However we also maintain and service most marine diesel engine brands including Yanmar, Cummins, Nanni and many other the older manufacturers including Perkins, Ford and Gardner. With our fleet of service vehicles we are able to provide a mobile marine service that can attend to your vessel at a location of your convenience. Our main area of operation is the Greater Hobart region, however when required we can travel Tasmania wide. Engine rebuilds and larger jobs can be undertaken in our well equipped workshop. Our qualified staff undergo ongoing specialist product training to ensure they are always up to date with the latest technologies.